Attention all you vintage fashion lovers out there. The time has come for you to combine your love for vintage with your passion for online shopping. Introducing the all new and totally original Byrd Holland Designs hitting Sydney vintage lovers like a storm. Byrd Holland is a shopping website that allows one's trash to become another's treasure. The shopping site's creator, Maria Gallifuoco, has a quirky eye for restoring our worn and torn, only to share it with the rest of the world. Byrd Holland has a simple layout and is absolutely easy to use for those of you who find the Internet a scary place. What is most appealing about Byrd Holland is the fact that it is Sydney based and thus absolutely local. This means that you won't be charged any extra international shipping fees. Byrd Holland's only seller is Maria herself, so you know that you are buying from the same person every time you shop. 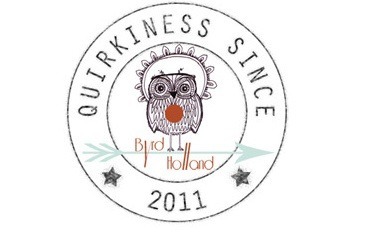 Whether you are looking to purchase a gift for a loved one, or a simple treat for yourself Byrd Holland is definitely a place to browse. What makes it even more appealing is that you get everything delivered straight to your door. Maria packages everything herself sending her own love with her items. 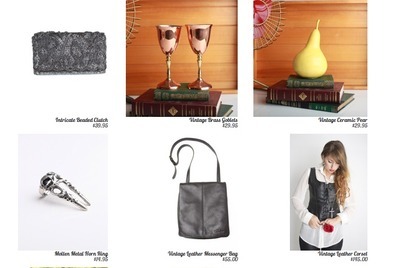 On the site, you will find items that range from vintage jumpers, dresses and bags to jewellery and ornaments. When purchasing items, all the information is at hand including costs, sizes and life of item. That way every time you decide to buy an item it will come with a minor backstory attached to it. To top it all off, for all you social media fanatics, by following Byrd Holland on Twitter you can find out how to save 10% on entire purchases. I recommend Byrd Holland as a local retailer that allows you to indulge in the love of vintage without leaving the inside of your home. No problem. Love the site.